We’re glad to announce the FHX-1 Output Expander for FH-1. 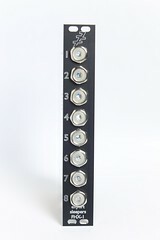 The FHX-1 is an expansion module for the FH-1 'faderHost' USB MIDI Host Eurorack module, adding 8 more outputs to the FH-1’s own. 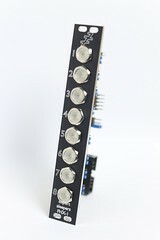 Up to 7 FHX-1s can be added to an FH-1, for a total of 64 outputs controlled from the one USB device. The FHX-1 is showing for the first time today at the Brighton Modular Meet and is expected to be available in July 2015.